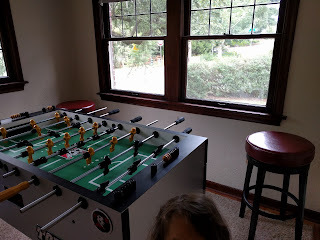 We've got one room in the house put together. Well, sort of, I guess. Every time I think it's finished I realize that we could paint it or put up some wall decor or something. But those things won't be happening in any rooms for a while, so the room is essentially done. 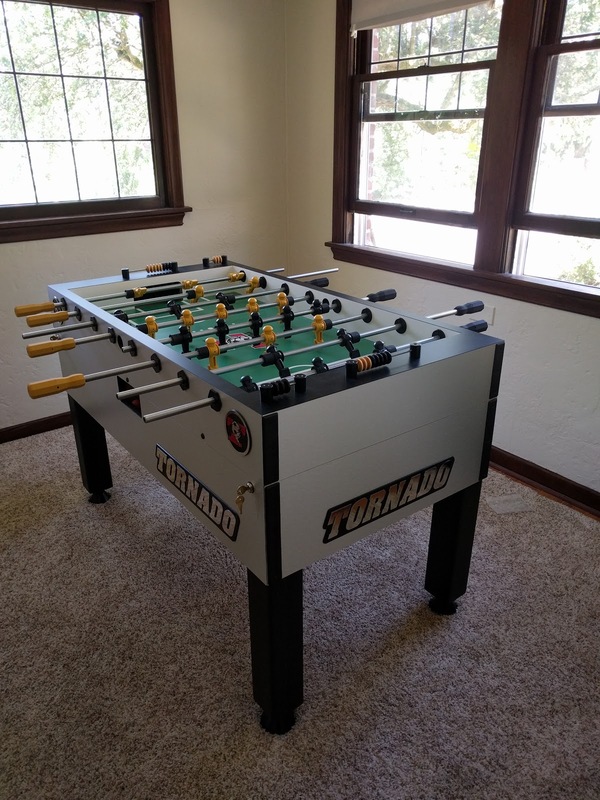 Ryan's wanted a foosball table for a long while now. 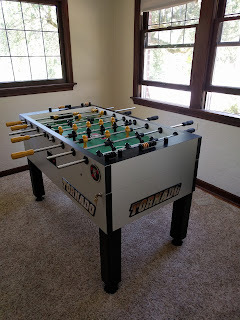 It was his birthday recently and we knew he'd need some stress-relief activities during the next couple years, so I told him to get the table. We had the carpet made into an area rug for the room. I was worried about echo in there - the carpet seems to have helped a lot with this. After having the table for a few days Ryan realized he'd really like somewhere to sit. 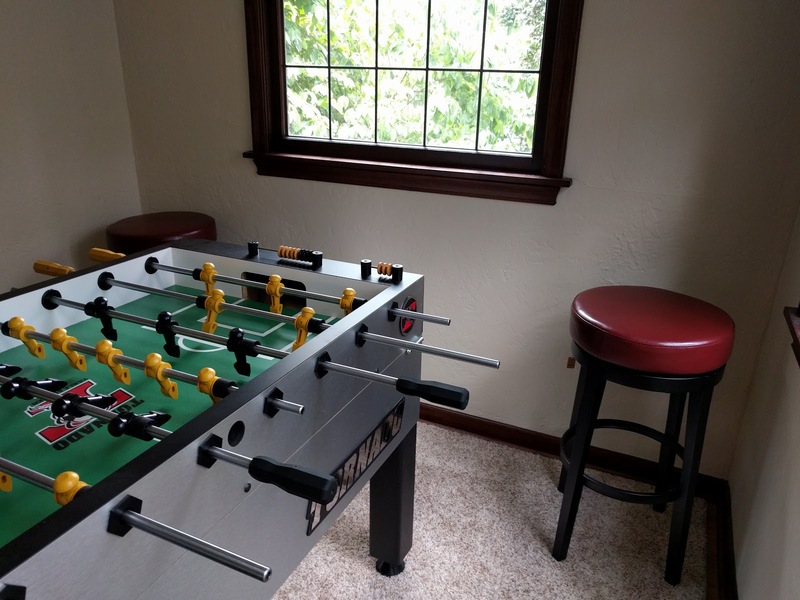 I'd already been thinking some stools in the corners of the room would be nice. So over the 4th of July weekend we headed to Pier 1 and checked out their selection. We knew from looking online that these were probably what we wanted. We spent a while deliberating color and then ordered them. He and Gareth spend quite a bit of time playing. Mal likes to "play" once in a while as well. Gareth loves when Mal decides to be on my team, because Mal likes to play "defense" and try to kick the ball into his own goal.